Shiplap or Board and Batten? 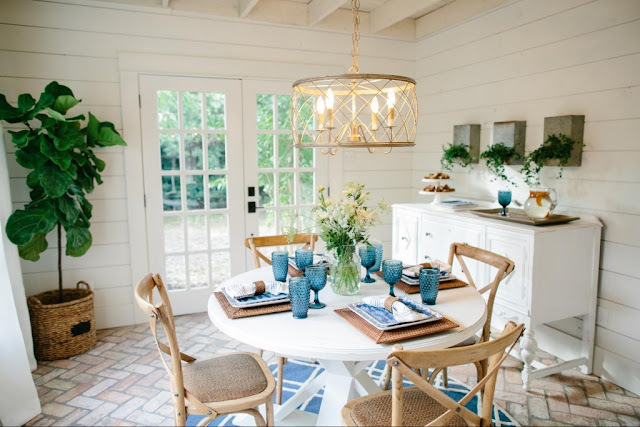 The Daily Nest: Shiplap or Board and Batten? 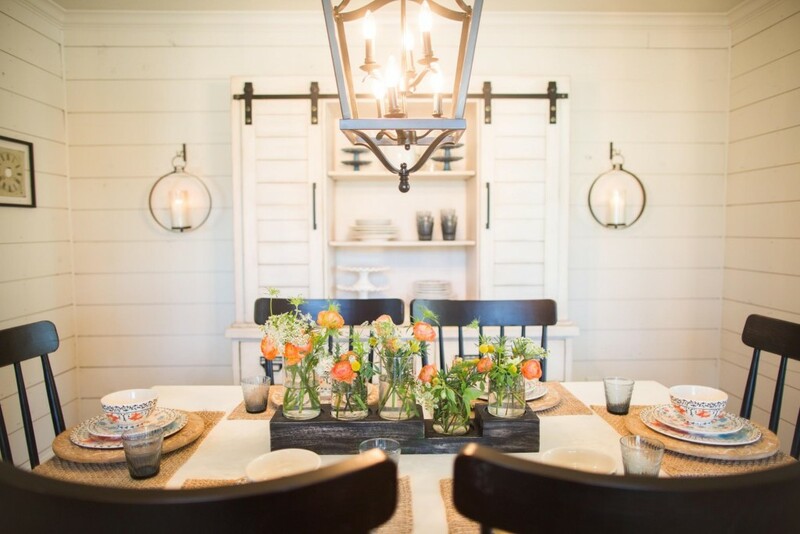 Shiplap or Board and Batten? 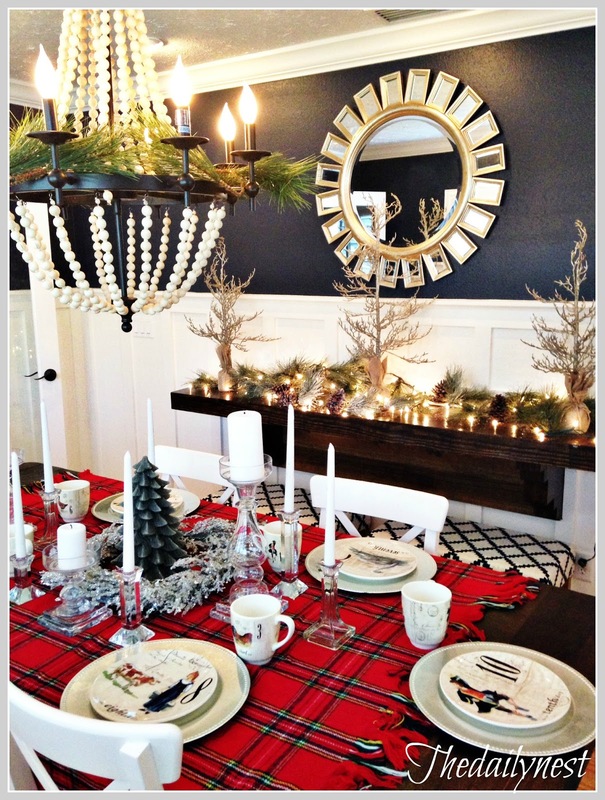 Ours was filled with family, fun, food and laughter! You can't ask for more than that, right? Today is a day of putting Easter decor away, cleaning and straightening up after the whirl wind of family have left! I hope I never tire of entertaining, because it's one of the things in life that brings me the greatest joy! Its when our house is at its best! You know all spit-shined and full of the people I love most in the world! But on to the reason for this post…. 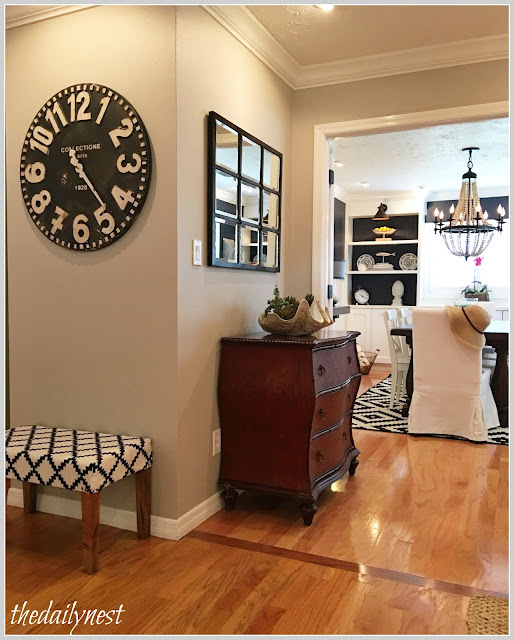 I have an area that you see when you first walk in the front door that just needs something! The walls with the clock and the mirror. So while I was working around today I had an idea! Why not do a little wall treatment! Maybe some shiplap or board and batten. Board and batten is what we have in the rest of the house, so this might flow better. Board and batten is an exterior or interior paneling that has alternating wide boards and narrow wooden strips, called battens. The boards are about one foot wide and placed horizontally or vertically. The battens are usual about 1/2 inch wide, and are placed over the seams between the boards. To read a tutorial of our easy and inexpensive way to achieve this look click here. 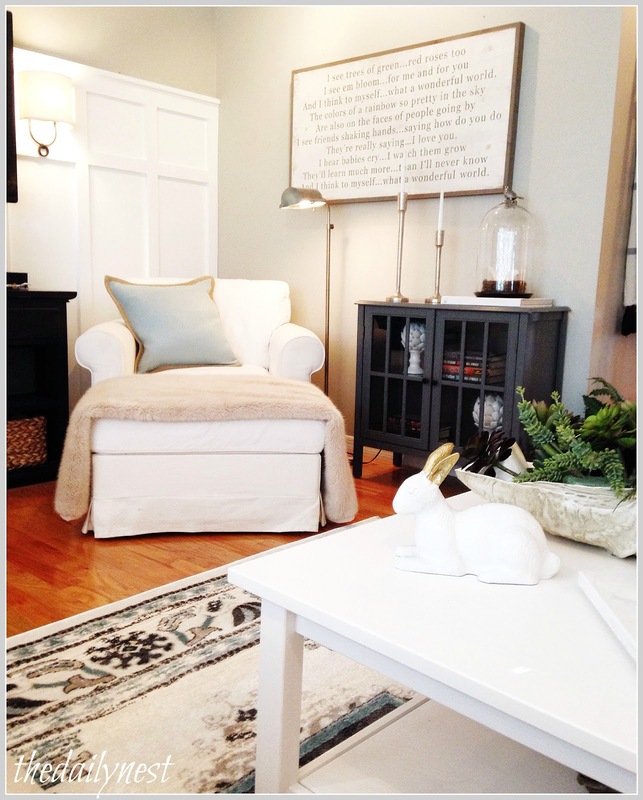 We made an accent wall of board and batten in our living room and its amazing how much it adds to the room. It gives the room some architectural interest. Instead of just flat boring walls. And when we added our dining room, board and batten was all I could see in this space! And I love it! 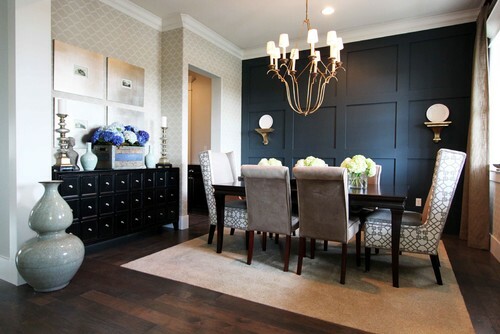 The Benjamin Moore Hale Navy walls and white board and batten just looks so crisp and clean! It doesn't have to be painted white! I love this navy blue version. So different! This board and batten is placed vertically and really gives this entrance a welcoming POP! And then there is shiplap. If you watch Fixer Upper on HGTV then you've heard that word ALOT! Shiplap is a type of wooden board used commonly in the construction of barns, sheds and inexpensive or seasonal homes. You see it a lot in beach homes. 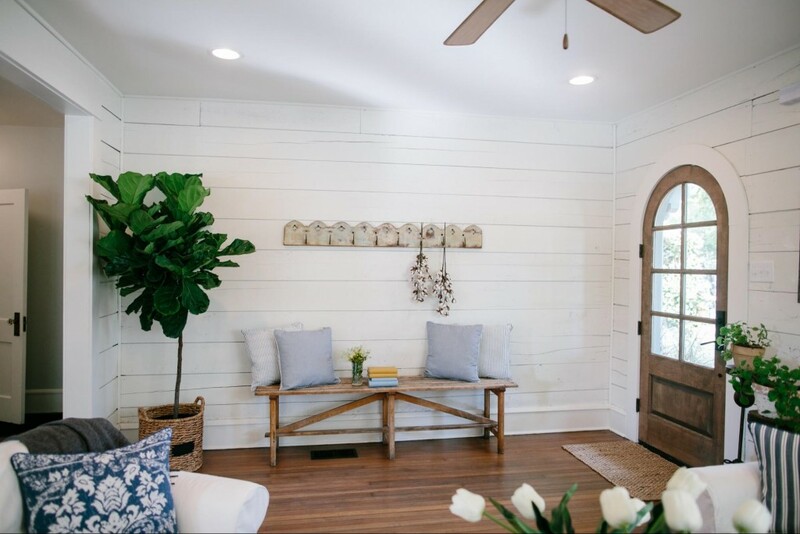 Because of its casual nature, shiplap is used indoors for the rough or rustic look that it creates when its used as paneling or a covering for a wall or ceiling. So now you are well versed in board and batten and shiplap!